MTSU proud of long service to .. 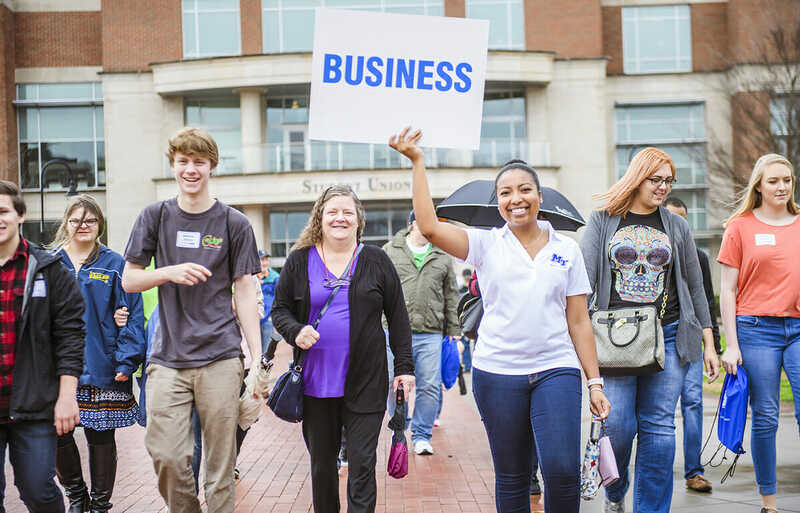 Preview day events begin in the Student Union Building, 1768 MTSU Blvd. To find buildings and parking, visit http://tinyurl.com/MTParkingMap. MTSU admissions officials want prospective students and their families to enjoy the full campus experience during a preview day and is encouraging them to look at the tentative agenda before they attend. The day begins with the 7:30 to 8:30 a.m. check-in and registration in the Student Union lobby. The MT One Stop, which provides integrated services in financial aid, course registration, tuition, billing and transcripts, will have representatives staffing a table at the preview day. “We typically answer basic questions regarding financial aid, scholarship eligibility and the overall process of enrolling,” including registration, when to attend CUSTOMS orientation, meet with advisers and more, said Becca Seul, the MT One Stop associate director. “We also get lots of questions regarding residency, the Academic Common Market and Regional Scholars Program,” added Seul. She noted that officials have also fielded questions about resources for homeless and former foster-care students, and the MT One Stop has a staff member in charge of those services.